56% vote third party or don't vote. Doesn't make sense. 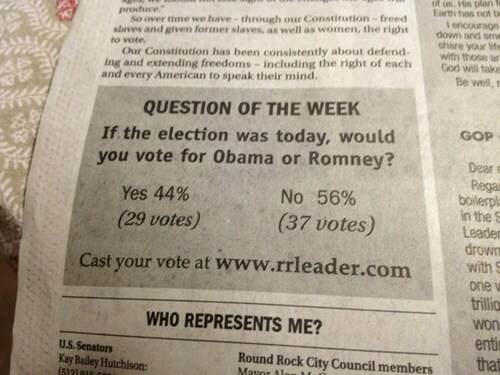 50% of 44% decides your president. Still makes sense, logically. It's just questionable as to the wisdom of not voting. But... Assuming that it only requires 22% to win, that means a third party could win with as little as 22.01% of the vote. Your elections are a game of pure numbers. Simple. In any case about 50% vote anyway and the higher turnout of supporters of one of the parties decides your election. It's just questionable as to the wisdom of not voting.